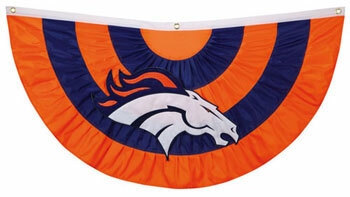 Adorn your porch with our Denver Broncos Team Bunting or decorate your RV and be the envy of any tailgating party! They measure 51" wide and hang 27" down. They are made of a sturdy nylon fabric and include applique stitching. Great for the NFL fan in your life!